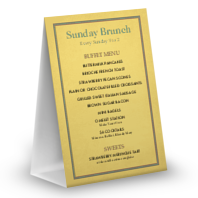 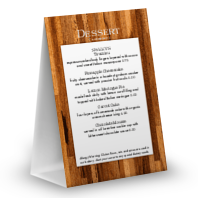 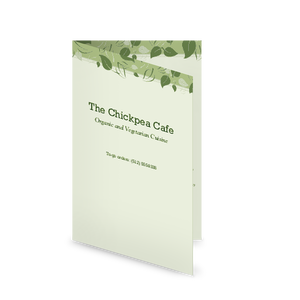 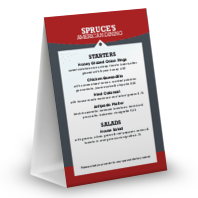 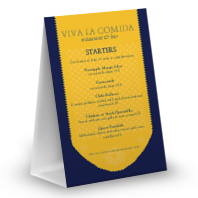 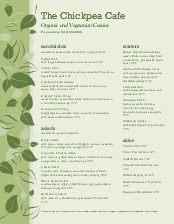 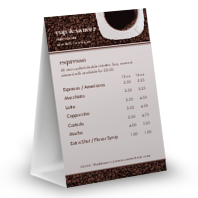 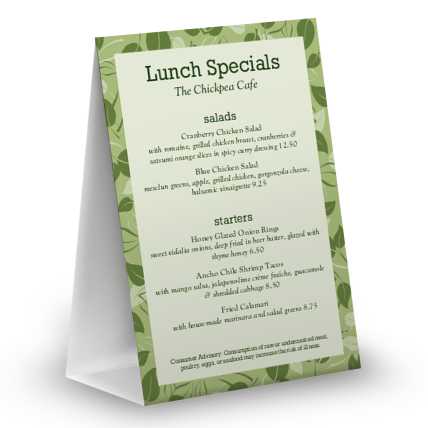 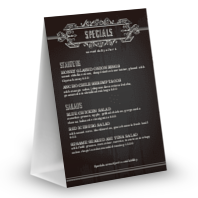 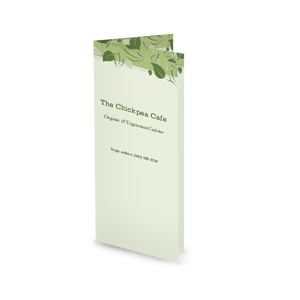 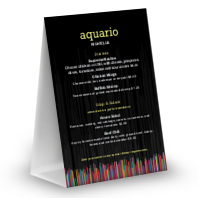 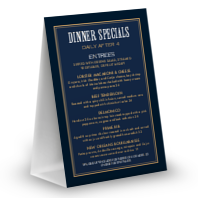 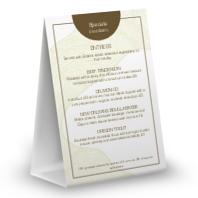 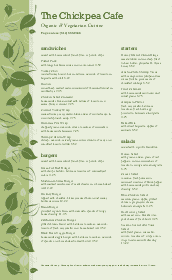 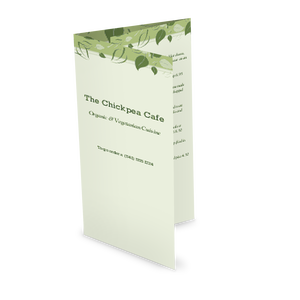 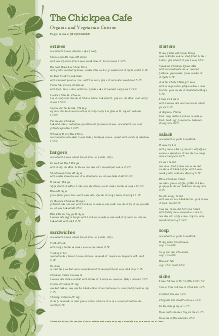 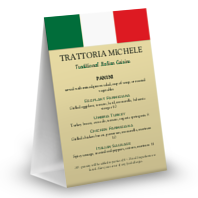 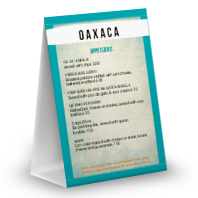 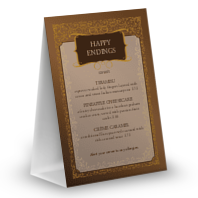 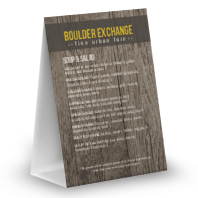 A Table Tent menu template for the Vegan Menu design collection. This leafy green design suggests organic, natural, and fresh. 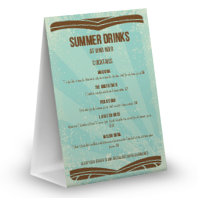 The sage green background highlights drinks, desserts, or other special items.